LinkedIn, the professional social network, is rapidly approaching a half billion users. While the site is known for helping professionals to stay connected with peers, or to seek out new careers, it is a tremendous resource for businesses as well. 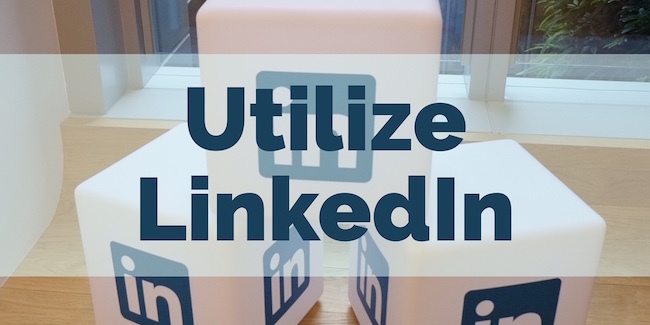 In fact, if you are not using LinkedIn as a tool at work, your company is probably missing out. Here are six ways that you can use LinkedIn right now, and help your business reach greater heights. Remember, there are over 400 million people on LinkedIn; surely a few of them might be interested in your products or services! Your company’s presence on LinkedIn will open new doors; a LinkedIn presence can help attract people to company’s profile, and ultimately generate new customers interested in doing business with you. You can also do searches for people interested in your particular market niche, and use your presence on the site to find and secure new leads. Finally, it is easy to create sponsored posts on LinkedIn, which can further your company’s exposure on the site. Once you are a member on LinkedIn, you can connect with like-minded professionals, experts, industry and academic leaders, and potential customers. You can seek out their expertise when you need it, and provide it to others in return. Ultimately, your network, if built correctly, will help you solve problems, generate ideas, and attract customers. There is tremendous power in networking, and few platforms offer businesses the opportunities to build effective networks like LinkedIn does. Like most other social media websites, posting great content is a must. Maintaining an active presence on the site with meaningful posts will draw people in to see what you have to say; it will lead people to share your posts, potentially enabling them to go viral. All of this exposure can translate to more leads, and potential sales. Meaningful content can also establish you as a thought leader in your industry as well, and create even more interest in your company. Consider encouraging your employees to join LinkedIn when you hire them. Getting your employees on the site can substantially increase the benefits your company gets from using the social networking platform. Recent studies indicate that employees’ LinkedIn connections have a low rate of overlap, less than ten percent. This means that your employees have the potential to dramatically expand the number of people aware of your company, and thus help bring in more potential customers. Additionally, if you hire quality people, their affiliation with your company will help build capital for you on the website as well. LinkedIn is also a great place to search for your next employee, or even to seek out managers or business partners. In a recent survey, 89 percent of recruiters reported that they had recently hired someone they had found while searching through profiles on LinkedIn. The website allows you to set search parameters to locate employees with the exact experience and skillsets you require. It will also let you build and save searches, and provide automatic alerts when someone with the required specifications is located. No matter how good your business is, sooner or later it is going to need outside support to get something important done. When you need to outsource a particular job for your company — such as preparing a professional booklet, or custom designing software for a new piece of industrial machinery you have purchased – LinkedIn can help you find someone to do the job faster than word of mouth or an Internet search ever could. You can read profiles, view endorsements, and request advice on vendors or contractors on the site; once you feel armed with enough information, you can choose someone to accomplish what needs to be done.